Are you about to buy your new home but have no idea where or how to start? You are not alone. A lot of aspiring homebuyers out there find themselves precisely in the same situation. Some of them aren’t even sure whether they would qualify for any of those attractive home loan programs. This is entirely understandable especially if you are buying a home for the first time. First-time buyers get overwhelmed by loads of requirements and necessary steps to go through before finally getting the key to their dream home, but this does not mean you, too, must undergo the same ordeal. If you are one of the many Americans trying to get your dream home in the Lone Star State right now, enlisting the help of FHA approved lenders will be the smartest decision you will ever make. 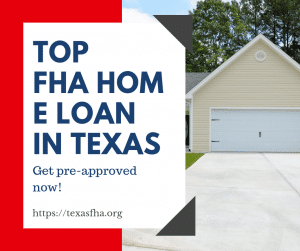 A top-of-the-line Houston FHA lender can show you why their home loan programs can be the best choice regardless of whether you are buying your first home, renovating an old one, or buying and renovating at the same time. If you haven’t already heard, FHA home loans are one of those government home loan programs that are easiest to get even if you have less than average credit. Insured by the Federal Housing Administration or FHA, these loans are issued by private mortgage lenders and are designed to make homeownership available to everyone, especially those in the low- to a moderate-income bracket. FHA mortgage lenders that have been in business for decades know the difficulties of many hopeful home buyers, and they have seen how huge down payment requirements and other out-of-pocket expenses have turned these buyers off and made them give up on their dreams before they could even get started. Fortunately for them, the FHA has plenty of programs to suit their unique needs and financial circumstances, and FHA mortgage lenders can help them evaluate these options. Most FHA home loans require lower credit requirements and down payment compared to most conventional loans, offer the most competitive interest rates and terms, and relatively lower closing costs. The closing cost doesn’t even have to come from the borrower’s pocket as the FHA allows cash gifts from qualified family members and friends. No other home loan in the market offers as much flexibility. If you are wondering what it takes to qualify for any of the FHA home loan programs, you will be surprised to find out how utterly lower the credit requirements are compared to conventional and other loans available out there. While conventional loans require a mid-FICO of at least 620, an FHA only asks for 580 and a down payment of just 3.5%. Those who are unable to reach a score of 580 but can put 10% down may still qualify as long as their credit scores don’t go below 500 and other qualifications are met. Credit, as we all know, is not the sole determining factor for qualifying for an FHA loan. Your lender will still be looking at your debt-to-income ratio, ability to pay for the monthly mortgage payments and your assets. 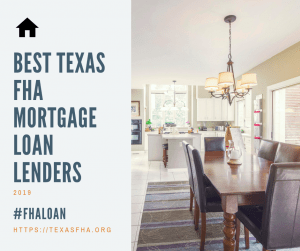 Besides helping you get the best Tx FHA loan program, experienced FHA mortgage lenders can help you shop for the best properties in the best locations for the best price. Expect to answer questions about your preferences, your lifestyle and your current financial situation because they will be using your answers to determine which property is most suitable for you. If you think you are ready, start by shopping for no less than the best mortgage lender to work with. Remember, you and the lender will be in this together for a really long time so it’s vital that you find one with whom you can get along well and feel most comfortable with.